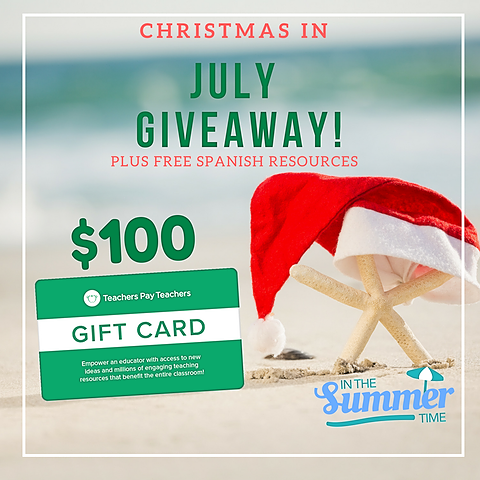 Time to celebrate with a fun giveaway, head over to Instagram and follow the simple instructions for a chance to win a $100 TeachersPayTeachers gift card. You will also get to know awesome bilingual/Spanish educators that create activities that you can use in your classroom while you are at it! This giveaway starts July 14th and ends on July 22nd.